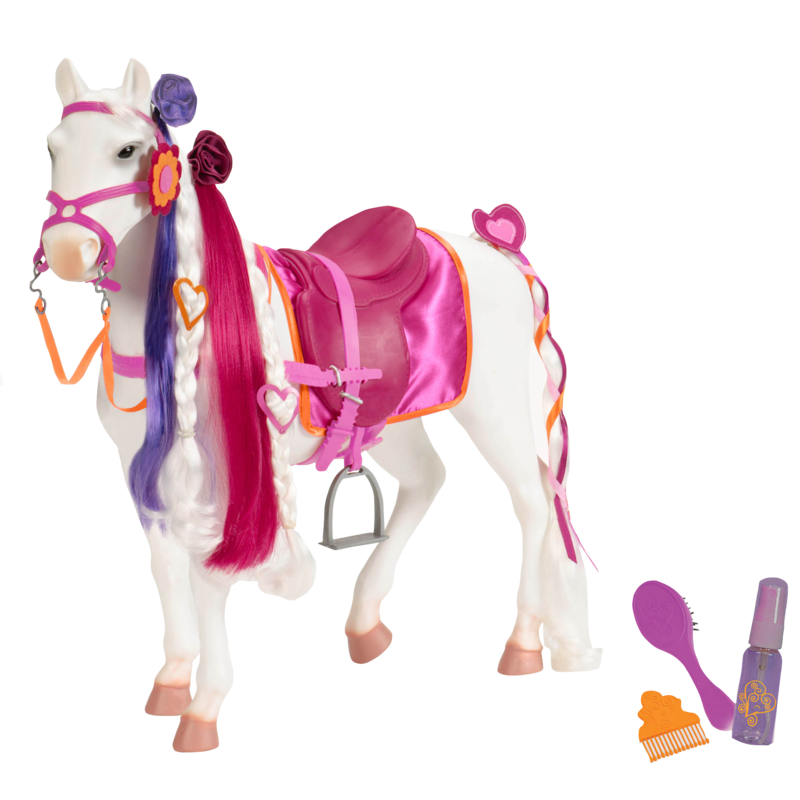 Brighten up any rainy day with this beautiful 18-inch doll! 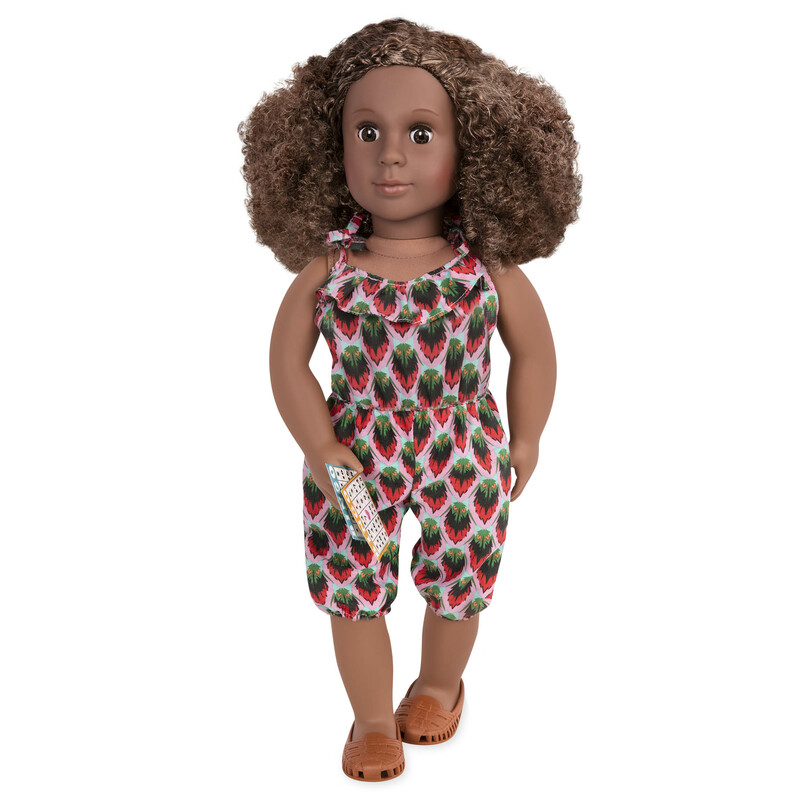 Rainy days are just adventures waiting to happen with Our Generation Deluxe 18-inch Doll – Denelle, a beautiful doll with shoulder-length, curly light-brown hair and warm brown eyes. Friends and sisters, a united team, there to cheer each other on! Denelle is a posable doll who can bend at the knees and elbows. Her neck, shoulders, and hips rotate and she can be posed in many different ways! Denelle comes with two complete outfits! Her outfit for rainy weather (her favorite!) 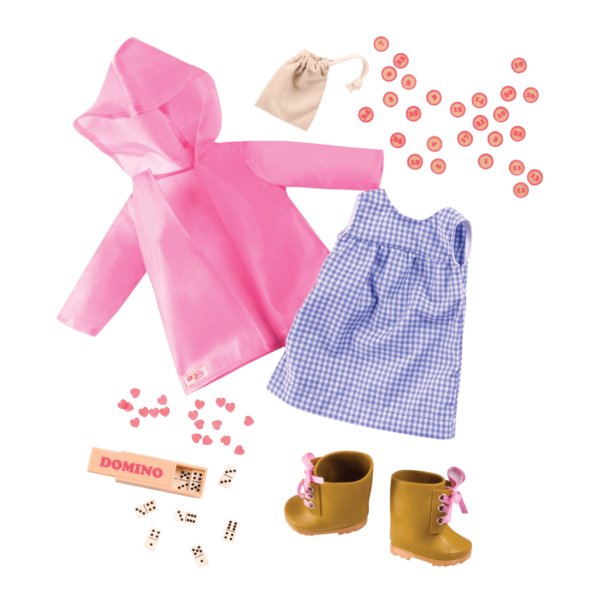 includes a sleeveless, blue and white gingham summer dress, a transparent pink raincoat with a hood, and hiking boots with pink ribbons for laces. 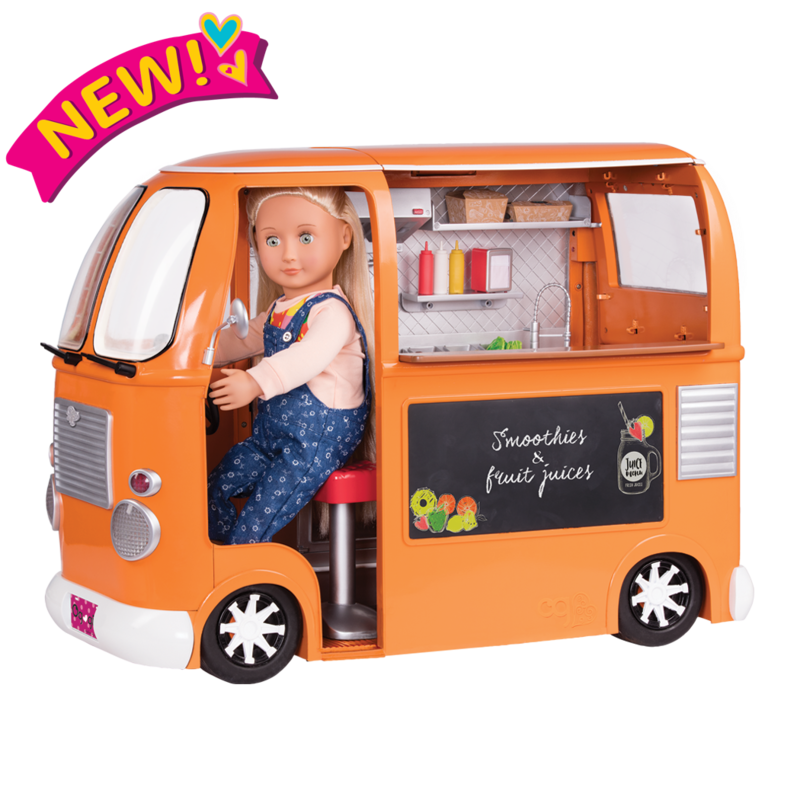 For a different look, she comes with a colorful sleeveless summer jumpsuit and sandals. Denelle’s idea of a great day is jumping in rainy-day puddles and later spending time indoors, relaxing and being creative or playing games with her family. 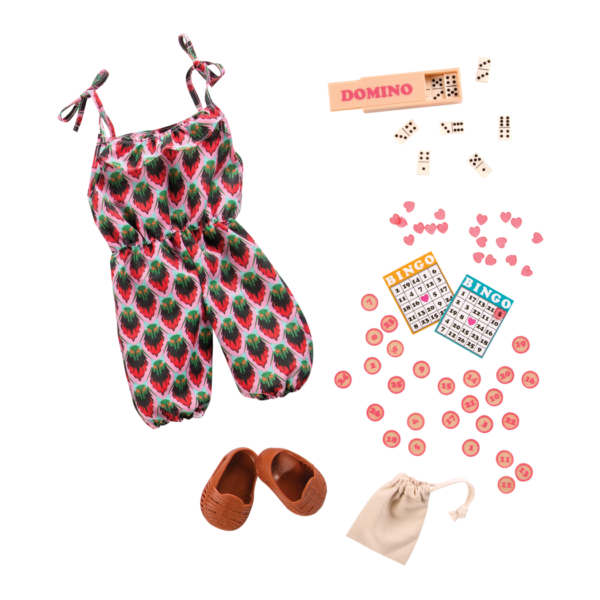 She comes with Bingo and Dominos – two of her favorite games – so you can play with her, too! 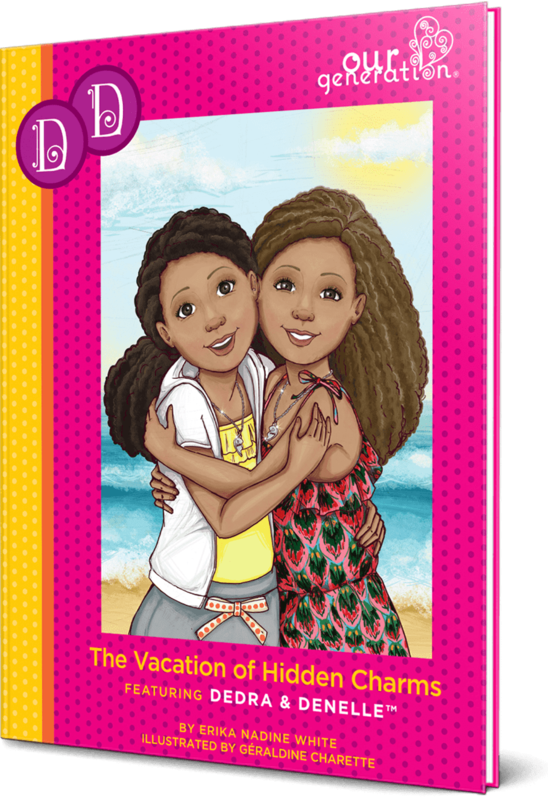 Denelle is a Twin Sister – read about her adventures on vacation with her twin Dedra in the storybook “The Vacation of Hidden Charms!” and collect them both! This easy-to-read book is suitable for younger readers and also makes a great bedtime story. Create your own stories with this inspiring collection! Have you met Dedra, Denelle’s twin sister? Even though they look somewhat alike, they’re very different! Denelle prefers quiet activates like playing Dominos and drawing and coloring. Help her express her artistic talents with the Art Class Supplies accessory set that is full of creative art materials for 18-inch dolls! You can send Denelle and her friends on a beach vacation just like in the storybook “The Vacation of Hidden Charms” with the Seaside Beach House, a great vacation home by the sea, and the Day at the Beach accessory playset that has all kinds of fun beach toys and a great chair for reading! Denelle is a Twin Sister! Follow her story in the chapter book! Denelle arrives with her hair pulled back in two ponytails, but you can style her hair in a lot of different ways! 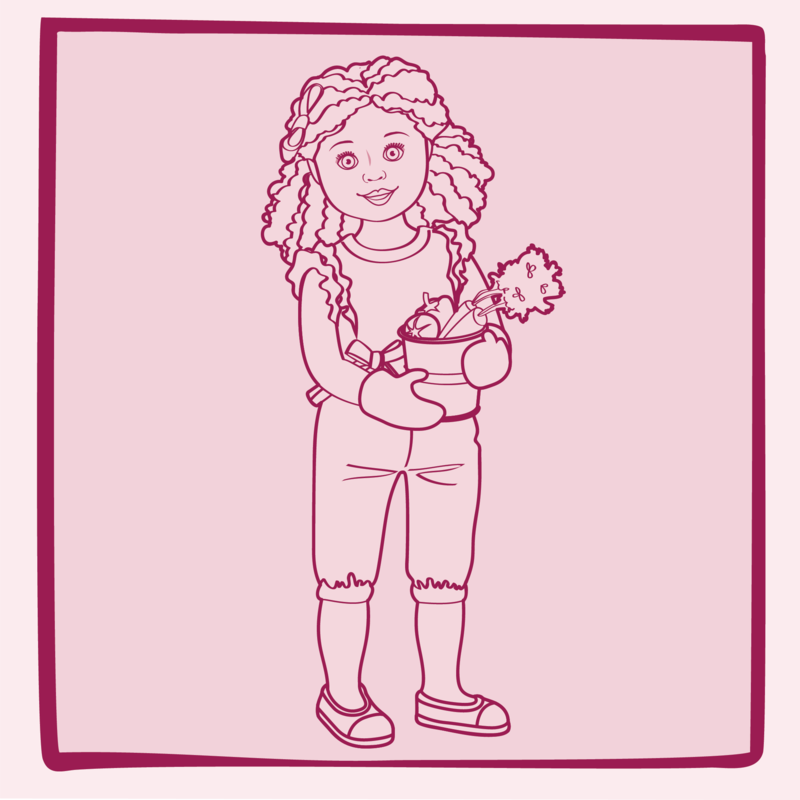 For dolls like Denelle with very curly hair, we recommend using a wide-tooth, flexible comb and always working with very small sections at a time. I purchased Denelle on line months ago and I had to pack her up with my other dolls. Went to Target during the holidays, saw Denelle, she was just gorgeous, I had to go back, get her and hide her. Finally unpacked the girls and now I have two. WOW. They are the twins.